Bring your kids into Crock A Doodle Paint Your Own Pottery. Sign them up for a kid’s class or come as a family to paint and play. 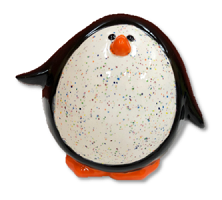 Create unique hand-painted pottery pieces – one-of-a-kind art you can use and cherish for years to come. Crock A Doodle Unionville Markham kids activities for all ages! Visit our studio for drop-in pottery painting anytime… no reservations needed. Register for an instructional Kids Class, Friday Fun Night or Studio Special Event. Paint and play with us on PA Days, after school, weekends or summer holidays. Put the ART in your pARTy! Celebrate your child’s next birthday with a pottery painting party! Come paint and play with Crock A Doodle. Your kids will love it…and you will love what they create! Contact the studio for more information.